Your iPhone may be well protected against malware, but it can’t protect your data as it travels the internet. Using a VPN keeps your information safe and private, even when you’re connected through an insecure Wi-Fi hotspot. A VPN most importantly enables you to protect your data from snoopers and mask your true location. It hides your online forays in a secure tunnel that outsiders can’t penetrate, but you must choose wisely since you’re trusting your VPN provider with all your online activities. There are well over 1000 of VPNs on the market and not every VPN works well with an iPhone, iPad or another iOS device. 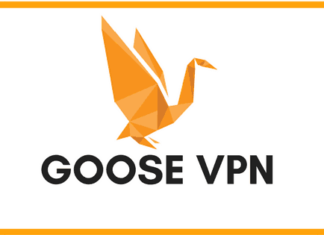 To make your life easier, in this review we are presenting you our favorite pick that is, GOOSE VPN Private Proxy Server For Secure Internet. What is GOOSE VPN Private Proxy Server For Secure Internet? GOOSE VPN Private Proxy Server for Secure Internet is trying to provide its customers in the digital world; complete protection of internet traffic and the safeguarding of one’s privacy and personal information. GOOSE VPN Private Proxy Server For Secure Internet is ideal for securing your connection when using public Wi-Fi hotspots. Furthermore, the service hides your true IP-address from hackers, the websites you are visiting and the authorities. 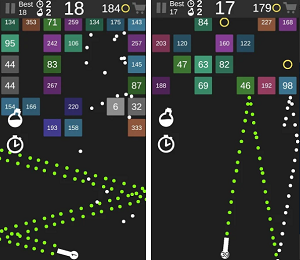 This VPN service opts for an accessible approach and keeps it subscription structure simple. There are 3 packages to choose from: the Basic Package for €2.99 per month, an Unlimited Package for €6.99 per month, and an unlimited annual package for €59.99. Payment methods include Credit card, PayPal, IDEAL, and GiroPay. The service allows you to try out the product for free for 30 days without obligations. It is especially interesting for those seeking a simple, qualitative and fast VPN. P2P and Netflix compatibility are also noteworthy assets. Installing this app is free and you can get this for your iOS device from the direct download link given below.